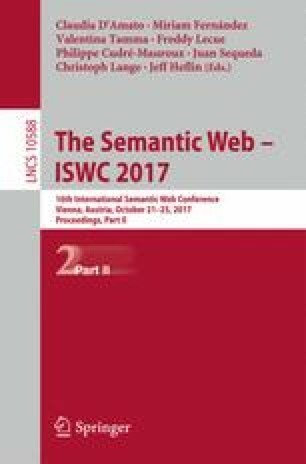 Hypernymy relations are an important asset in many applications, and a central ingredient to Semantic Web ontologies. The IsA database is a large collection of such hypernymy relations extracted from the Common Crawl. In this paper, we introduce WebIsALOD, a Linked Open Data release of the IsA database, containing 400M hypernymy relations, each provided with rich provenance information. As the original dataset contained more than 80% wrong, noisy extractions, we run a machine learning algorithm to assign confidence scores to the individual statements. Furthermore, 2.5M links to DBpedia and 23.7k links to the YAGO class hierarchy were created at a precision of 97%. In total, the dataset contains 5.4B triples.